You are here:Home-Blog, Disability Attorney, Long Term Disability Attorney, Social Security Attorney, Social Security Disability Benefits Louisville, Social Security Help Louisville-Don’t Be Denied Benefits For Fraud Or Dishonesty! Don’t Be Denied Benefits For Fraud Or Dishonesty! The Sullivan Law Office provides assistance in ensuring that all applicants and recipients receive all of the benefits to which they are entitled in all types of disability cases. These include Social Security Disability, long-term disability, short-term disability, state retirement and workers’ compensation. Every application for social security benefits requires the consideration of a substantial list of issues that applicants must understand related to the determination of their eligibility for benefits. The Social Security Administration (SSA) often denies cases after initial approval because it later discovers evidence of fraud or dishonesty. 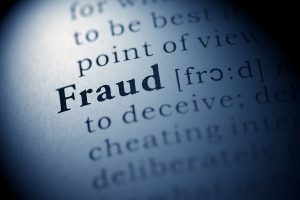 Once the SSA discovers that an applicant obtained disability benefits by an act of fraud or dishonesty, it may terminate benefits and even pursue criminal fraud charges when appropriate. Fraud usually occurs when an individual receives disability but continues to work full-time. Claimants must report their work activity and any associated earnings. An experienced disability attorney may help ensure that a claimant eligible for disability does not violate the law and have benefits terminated. Benefit recipients who knowingly make a statement which is false or misleading or knowingly fail to report important changes are subject to a sanction against the payment of benefits that includes a first sanction period involving a withholding of payments for 6 months. Subsequent sanction periods involving such a withholding may last as long as 12 months and 24 months. One of the best ways to improve your chances of avoiding the denial of benefits is by retaining the services of a qualified Kentucky Social Security Disability attorney. Working with an attorney that is experienced in Kentucky Social Security Disability cases ensures that you have the best chance of successfully filing a disability application. If you have any questions or concerns about any kind of disability cases, including Social Security Disability, long-term disability, short-term disability, state retirement and workers’ compensation, call the Sullivan Law Office today! Call 888-587-0228 or visit us online.